Stalking, the following and harassment of another person, occurs among all age groups and social groups, as well as among all genders. That goes for those affected by stalking, as well as for the people who stalk. In many cases, it presents a significant problem for both sides. The consequences for those affected by stalking can include anxiety, panic attacks, depression, sleep disorders, psychosomatic complaints, the inability to work, social withdrawal and loneliness, i.a.. Yet the people who stalk often suffer from their own stalking behaviour and its possible effects too. Effects such as inner emptyness, low self-confidence, feelings of shame and guilt, frustration, a loss of control, loneliness and social withdrawl, problems with the police and the justice system, and a loss of time and energy, i.a..
We consider stalking to be an occurance, which is often preceeded by an unsuccessful relationship set-up (Fiedler 2006). Thus it does not affect an isolated individual, but rather people, who have history with each other; a history of which one person does not want to let go. 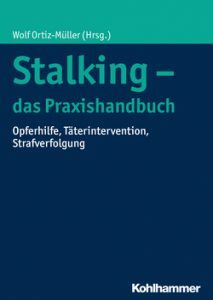 Sometimes signals of closeness or distance are misinterpreted, sometimes the person who is stalking believes that he/she still has a right to more detailed explanations, sometimes the person affected by stalking finds it difficult to clearly and unequivocably distance him/herself. However, the responsibility and the criminal culpability for the stalking lies with the person who stalks. We want to work out with him or her, what he or she needs, in order to be able to live autonomously again without stalking. The counselling centre Stop-Stalking therefore advises both those affected by stalking and people who stalk, as well as relatives and people who deal with stalking in a professional context. Furthermore, we consider our task to be to raise awareness and inform the public regarding the topic of stalking, as well as to build up a network, in which counselling institutions, public offices and law enforcement agencies can work together. Only in this way can stalking be constrained effectively.